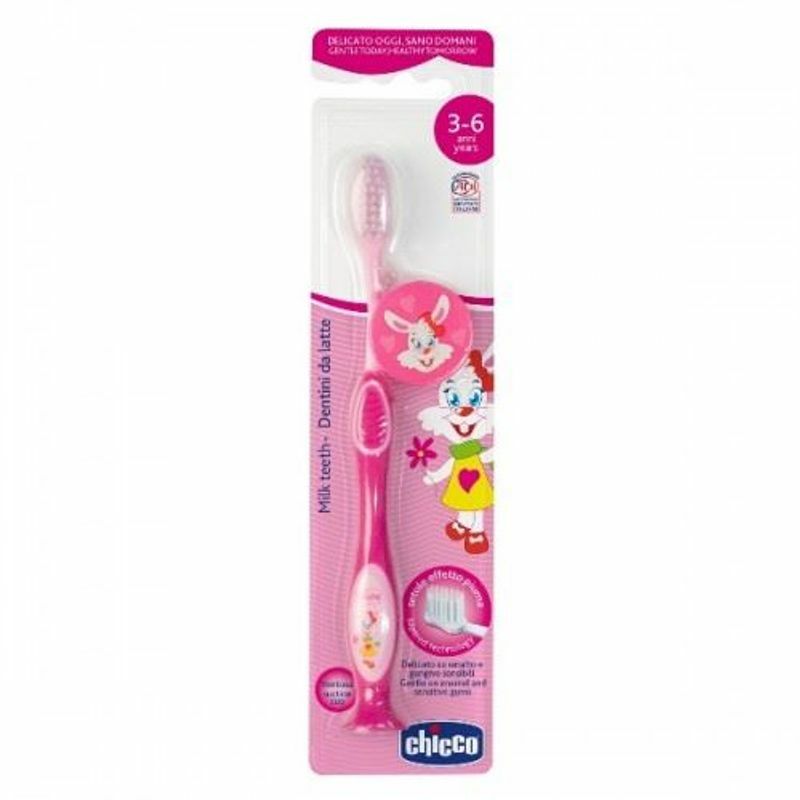 The super-efficient toothbrush by Chicco comes with a head with a tongue scraper, perfect for your child's mouth. Comprising of extra-soft tapered-technology bristles, this toothbrush is ideal for a delicate action on enamel and sensitive gums. Ergonomic handle covered in soft, non-slip rubber for right grip. Has a fun bristle cover and suction cup that will interest your kid and make brushing teeth an enjoyable routine. Head with a tongue scraper, ideal for a child's mouth. Ergonomic handle covered in soft, non-slip rubber for extra grip. Explore the entire range of Teeth & Dental Care available on Nykaa. Shop more Chicco products here.You can browse through the complete world of Chicco Teeth & Dental Care .